Dr Marcelle Moore, Clinical Psychologist is registered with the Psychology Board of Australia (AHPRA), is a full member of the Australian Psychological Society (APS) and the APS College of Clinical Psychology. 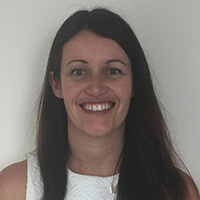 Dr Moore has a Doctorate in Clinical Psychology, a Masters in Developmental Psychology specifically related to helping young children with feeding difficulties and a Diploma in working systemically with families using a wide range of evidence based techniques. Dr Moore has worked at the Tavistock Clinic, London, which is internationally recognised for its exceptional research & clinical work with children & their families. Dr Moore has worked closely with children and families providing specialised psychological care in both London and Sydney for over 19 years. She has worked in both the public and private sectors and has extensive clinical experience in the assessment and treatment of a wide range of emotional and behavioural difficulties that affect children and their families. Dr Moore provides services for families and their children who are experiencing tricky emotional and behavioural challenges in their everyday lives. Therapeutic intervention is aimed at increasing resilience by equipping parents and children with the necessary practical and emotional skills to understand and manage the difficulties they are facing. Emphasis is on tailoring intervention to the needs of individual families, whilst helping them to build on their existing strengths and resources. Parents’ expertise on their children is very much acknowledged and listened to when formulating treatment plans. When working with families, best practice and evidence based approaches are used to establish clear-shared goals for intervention.